Myoshinji is a large temple complex in northwestern Kyoto which includes about 50 subtemples in addition to its main buildings (most of which are closed to the public). The grounds around the temple are extensive and usually quiet, and the walking paths make for a pleasant area for running. The main buildings of Myoshinji are located near the temple’s southern gate near Hanazono Station. Situated in a row one after another are the Sanmon Gate, the Butsuden Hall, the Hatto Hall and the Ohojo building. 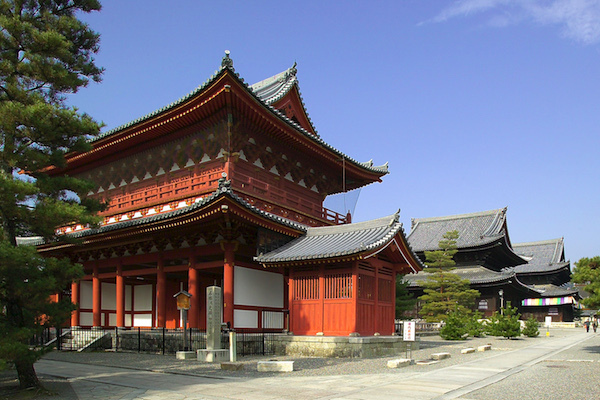 The Sanmon Gate and Butsuden Hall are both considered important cultural properties but can only be observed from the outside (source: Japan Guide). One can also walk along roads and paths to other temples in the area. It is 2.1 km to Ryōan-ji Temple, and 3.7 km to Kinkaku-ji Temple. We’ve found it tough to plot a map, but Google Maps features good walking directions, so we’d suggest that. Easy walk from JR Hanazono Station or Myoshinji Station along the Keifuku Kitano Line. 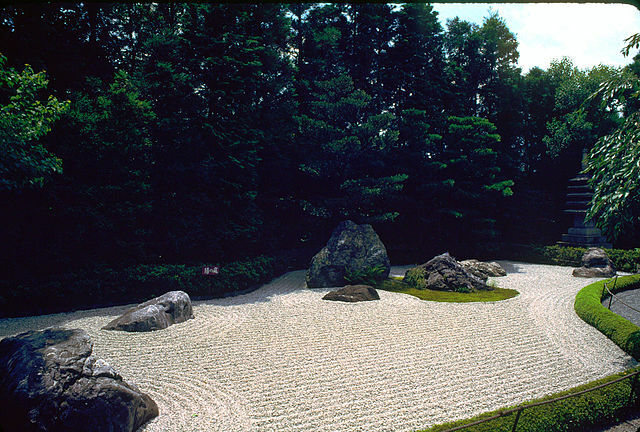 Ryoanji Temple is a 10-15 minute walk from Myoshinji.